Situated in the heart of Dungarvan, Ard Scoil na nDéise welcomes students from all parts of the town, its suburbs and indeed its hinterland. This healthy mix of town and country contributes greatly to the school’s very special atmosphere, which is always remarked upon by students, parents and visitors alike. We strive to forge a school community based on our core values of respect, care, and friendship and to embrace and understand diversity. Here at Ard Scoil na nDéise we take the idea of embracing diversity a step further by opening our doors to visiting international students. Each year we are delighted to act as host school to a number of international students who visit us for periods of time ranging from eight weeks to a full academic year. This year we have eighteen visiting international students from Spain, Italy and Germany. They are dispersed throughout the school community ranging from second year to fifth year. We are delighted to see that the girls have integrated so well into the Ard Scoil na nDéise community. It is a very brave decision to choose to move away from their familiar environments in their home countries and already they have blended seamlessly into the class groups that they have joined. The girls are throwing themselves into all aspects of school life and are taking part in the full range of activities on offer here in Ard Scoil na nDéise. They are keeping up with their academic work while at the same time engaging in extra-curricular activities ranging from sport, to art, to music and anything else that helps them to develop their talents!! Not only are our international students benefitting from their time in the Ard Scoil, but the Ard Scoil community is also benefitting from their presence. Our students are becoming more aware of cultural diversity and are learning so much about the countries that our visiting students have come from. They are developing a greater understanding of how important it is to be open to embracing differences and are broadening their horizons on a daily basis. 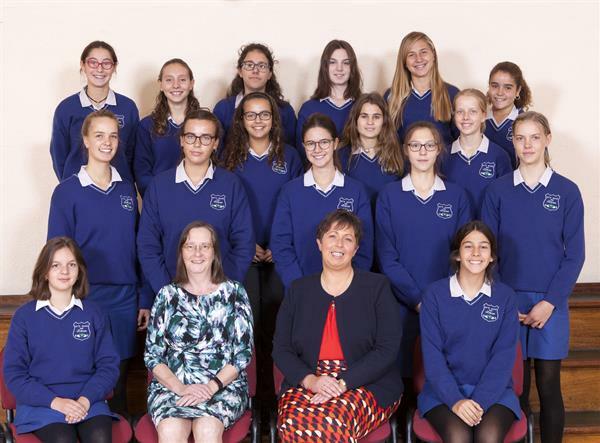 We hope that the girls will form lasting friendships over the course of the year and that the Ard Scoil na nDéise family will continue to broaden its horizons and create more and more diverse relationships as time goes on.